There are so many flavours of cheesecake and many variety of ways to make them. So today, i just happen to use this combination of ingredients. 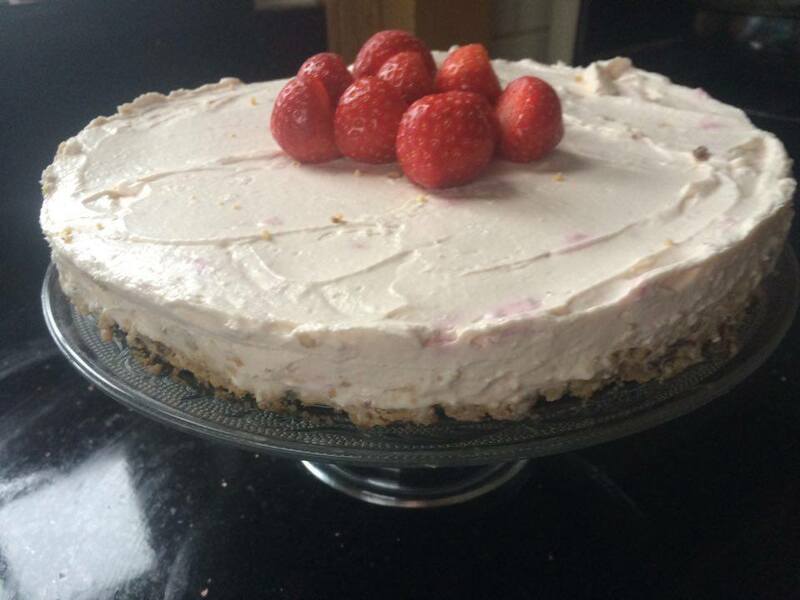 However, it is a very simply cheesecake to make and you can add whatever kind of flavour you prefer.......I am using strawberries in this. As it is the weekend tomorrow, now is the perfect time to make it and leave to set overnight for a delicious weekend dessert. For the base, crush 350g Chocolate Digestive Biscuits to crumbs. I use a seal sandwich bag - pop the biscuits into the bag and crush using a rolling pin. Toss the crumbs into 50g melted butter and coat thoroughly. Topple the mix into your prepared spring form tin, greased and base lined with greaseproof paper. Press the mix down into the base of tin making an even smooth layer. Chill for at least 1hr. For the filling, beat together 600g cream cheese; 100g icing sugar and a few drops of vanilla extract until smooth. To this add 285ml double cream and 1/2 cup mashed strawberries. Beat mix again until mix is combined and thick. Using a spatula, topple the filling mix on to the set biscuit base, leveling and smoothing the top. Cover with cling film and leave in the fridge to set, preferably overnight. Serve with some fresh strawberries on top. And enjoy!